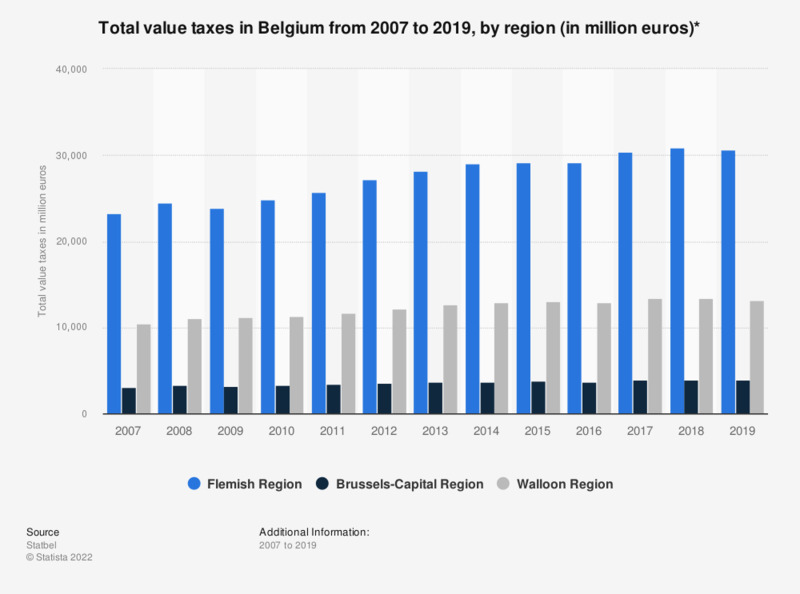 This statistic displays the total value of taxes in Belgium from 2006 to 2016, by region. In 2016, the total taxes in the Flemish Region amounted to about 29 billion euros. * Statistics Belgium defines the total of taxes as the sum of state taxes, municipal taxes, and agglomeration taxes.